"A parallel world story. With a "Well-adjusted" protaganist." Alexander Nightmare has not been tagged yet. 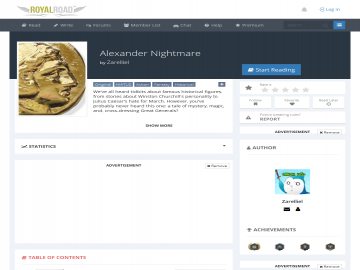 Help others find Alexander Nightmare by tagging it! Alexander Nightmare has not been reviewed yet. Alexander Nightmare has not been recommended yet.